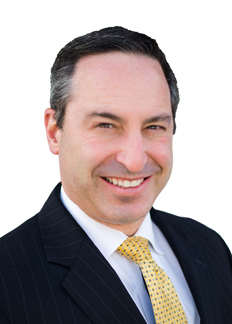 David Schumacher is a partner in Hooper, Lundy & Bookman’s Boston Office. He focuses his practice on criminal defense, fraud & abuse compliance and defense, as well as other health care enforcement actions. He is a member of the firm's Fraud & Abuse Practice Group. Mr. Schumacher was previously deputy chief of the Health Care Fraud Unit in the U.S. Attorney’s Office for the District of Massachusetts. During his eight-year tenure as a federal prosecutor, Mr. Schumacher investigated some of the largest and most complicated health care fraud cases in the country. Mr. Schumacher investigated pharmaceutical and medical device companies, home health care organizations, medical equipment companies, laboratories, physicians, and other health care providers, in cases involving violations of the federal health care fraud statute, False Claims Act, Anti-Kickback Law, HIPAA criminal violations, and the Food, Drug and Cosmetic Act. As a result of his investigations, Mr. Schumacher returned hundreds of millions of dollars to the federal government and convicted dozens of individuals of health care fraud charges, including several convictions following jury trials. Prior to joining the U.S. Attorney’s Office, Mr. Schumacher practiced at one of the largest law firms in Boston, focusing his practice on white collar criminal defense and commercial litigation. Mr. Schumacher also spent six months as a Special Assistant District Attorney in Middlesex County. Through his experience, Mr. Schumacher is uniquely qualified to represent health care provider organizations and individuals in the most complex investigations and prosecutions. Mr. Schumacher’s experience is invaluable to clients in need of representation before state and federal regulatory and law enforcement agencies and departments. He is well-positioned to defend clients under investigation by the Department of Justice and U.S. Attorney’s Offices, state Attorneys General, and federal agencies. Mr. Schumacher also has extensive experience litigating qui tam whistleblower actions and conducting internal investigations. He is also available to provide compliance advice to health care providers and assist with the development of compliance plans.